VAWA, which stands for Violence Against Women Act, allows a battered spouse, child, or parent of a U.S. citizen or Green Card holder to file an immigrant visa petition. VAWA is a part of the Immigration and Nationality Act (INA) and, irrespective of its title, applies equally to both men and women. Apart from immigration benefits, VAWA allows an abused child, spouse, or parent to achieve safety and independence from the abusive relative by submitting a petition without the abuser’s knowledge. In order to file an immigration petition under VAWA, a petitioner must be either a spouse, parent, or child of the abuser. One can file a petition if she has been a victim of abuse by her U.S. citizen or permanent resident (Green Card holder) spouse. She can also file a petition for a child who was abused by a U.S. citizen or permanent resident spouse. An immigration petition submitted under VAWA by an abused spouse also covers the petitioner’s children under age 21 in case they did not submit a petition themselves. A parent who has been abused by a U.S. citizen child and a child who has been subjected to abuse by her U.S. citizen or permanent resident parent are eligible to file the petition as well. 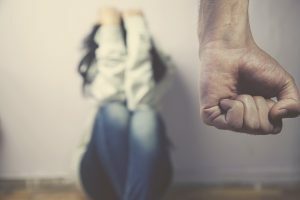 The first requirement to be eligible to file under VAWA as an abused spouse is a qualifying relationship between the abused petitioner and the abuser U.S citizen or permanent resident. That is, the petitioner must be married to the abuser at the time of the filing, or the marriage must have been terminated due to the death of the abuser or divorce resulting from the abuse within 2 years prior to filing the petition. An illegitimate martial relationship between the abused and the abuser does not deprive the abused party from immigration benefits under VAWA as long as: (1) the abused spouse believed that the marriage was legitimate, and (2) the illegitimacy of the marriage was caused solely by bigamy of the abusive spouse. The abusive spouse must be a U.S. citizen or permanent resident for the abused spouse to be eligible to file, but if the abuser renounces or loses citizenship, the abused spouse does not lose eligibility as long as she files within a 2-year period. An eligible applicant or her child should have suffered extreme cruelty by her U.S. citizen or Green Card holder spouse. The marriage between the victim and the abusive spouse is bona fide. That is, they did not enter into the marital relationship for an immigration benefit. The petitioner and her abuser spouse must have lived together. The petitioner must be a person of a good moral character. One can also file an immigration petition under VAWA as a child if one is under 21, unmarried, and has been abused by a U.S. citizen or Green Card holder parent. The petitioner is eligible to file an immigration petition under VAWA after he turns 21 years old but before he reaches 25 if he successfully demonstrates that the abuse was the primary reason of the delay in submitting the petition. The child petitioner can also include his children in the petition as long as they have not reached the age of 21. An eligible petitioner child should have suffered extreme cruelty by her U.S. citizen or permanent resident parent. The abusive parent must be a U.S. citizen or permanent resident, or must have renounced or lost his citizenship or permanent residence as a result of domestic violence. The petitioner and her parent must have lived together. For a parent to file a petition under VAWA, he or she has to have a parental relationship with an abusive child who is at least 21 years old at the time of submitting the petition. The abuser must be a U.S. citizen or must have renounced or lost his citizenship as a result of domestic violence. If an abusive child dies, a qualified parent must file the petition within 2 years. In such case, the deceased child must have been a U.S. citizen and must have reached 21 years by the time of his death. An eligible petitioner should have suffered extreme cruelty by her U.S. citizen child. The petitioner and her child must have lived together. The petitioner must fill out the Form I-360, Petition for Amerasian, Widow(er), or Special Immigrant and submit it along with supporting documents to the Vermont Service Center. After approval of the Form I-360, the petitioner and her child under 21 can apply for work authorization by submitting Form I-765, Application for Employment Authorization. The petitioner and her child may also apply for a Green Card. If the petition is denied, the victim can appeal the decision within 33 days of denial. Detailed instructions for the appeal will be attached to the denial notice.